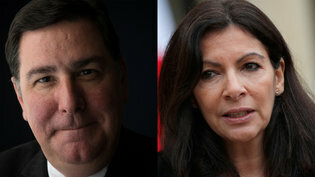 It’s been a whirlwind political romance for the mayors of Pittsburgh and Paris over the past week. 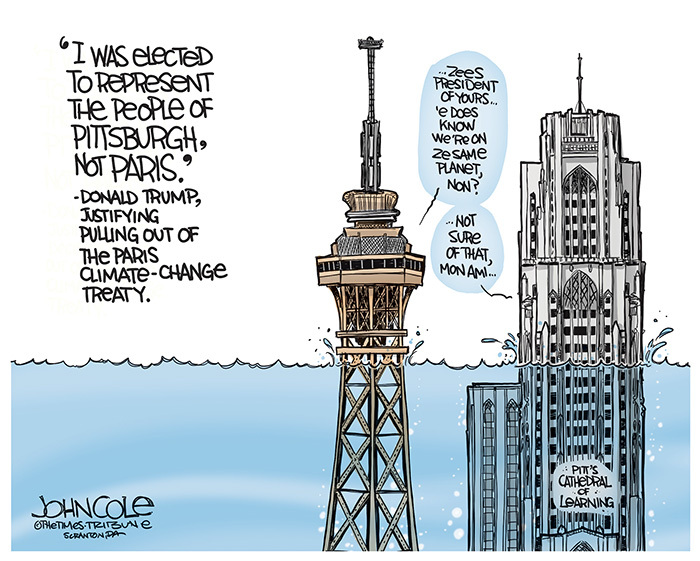 They're getting a lot of "kilometers" out of U.S. President Trump’s line, “I was elected to represent the citizens of Pittsburgh not Paris,” in announcing an American pullout of the Paris Agreement on climate change (go here for more details). The mayors both evoked the beauty of their cities, both nestled on riverbanks connected by bridges old and new, in a joint opinion article in the New York Times. Both cities have reclaimed their waterfronts, transforming them into parks and transferring traffic out of the city core. Pittsburgh has its Gothic Cathedral of Learning and Paris has the Eiffel Tower, built of iron, the metal that made Pittsburgh famous. While Ann Hidalgo isn’t the mayor of Pittsburgh and Bill Peduto isn’t the mayor of Paris – and it’s humorous to picture them swapping cities – they say they’re doing right by Pittsburghers and Parisians to abide by the Paris Agreement. Why? Because it will ensure the future health and prosperity of both of their cities. The motto of Paris is “fluctuat nec mergitur,” tossed by the waves but never sunk. That could be Pittsburgh’s motto too. One city was nearly destroyed by war, and the other by industrial collapse. But visionary leaders led the way to new futures. Let’s hope these fair cities are never sunk by the rising tides of climate change.